How Do I Remove The Residue Left By The Promotional Stickers On My LED TV? 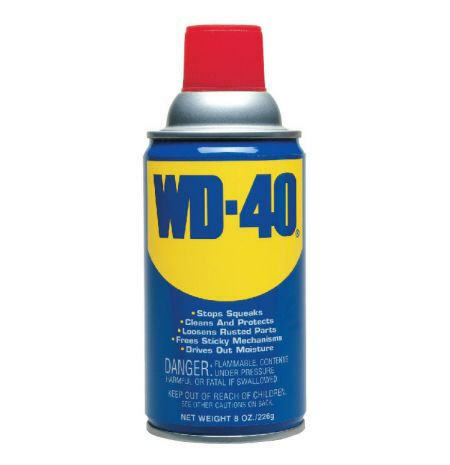 IMPORTANT: Under any circumstances, Never use WD-40 on the TV screen. Use WD-40 on the bezel only. Occasionally, when you remove a sticker from a TV, there is residue left behind. To remove this residue, try wiping it with a soft, slightly damp, clean cloth. If wiping it with a soft, slightly damp, clean microfiber like cloth does not completely remove the residue, spray a small amount of WD-40 on another clean, soft cloth, and then wipe the residue off. This should remove all residue and not damage the TV in anyway. NOTE: Spray the WD-40 on the cloth only. Never spray the WD-40 directly on the TV.